Eric’s hard work and dedication to his clients has earned him their trust, resulting in repeat business and the many referrals to wonderful new clients. This loyalty has brought him to among the top performing agents in Royal LePage across Canada. The many Awards from Royal LePage that Eric has achieved are listed below as well as professional accreditations and designations. 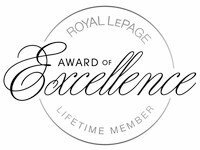 The Royal LePage Lifetime Award of Excellence (2012-2017) is awarded to agents who attain the Director’s Platinum or President’s Gold Award at least five out of seven previous consecutive years. The Royal LePage Director’s Platinum Award (2011-2017) The threshold level required to attain the Director’s Platinum Award is the top 5% of each residential market’s sales representatives’ earnings. Earnings are defined as gross closed and collected commissions in the preceding year. Royal LePage Diamond Award – 2010, 2018: After only 4 1/2 years as a realtor, Eric was able to help enough buyers & sellers to achieve their goals that Royal LePage presented him with this award. This recognizes Eric as one of the top 3% of agents based on the residential market’s sales. 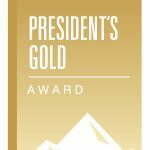 President’s Gold Award 2007-2009: Eric was awarded this distinction since his second year in business in recognition of his professionalism (2007-2009). This is presented to Royal LePage agents who achieve the top 10% of their residential market’s sales representatives’ earnings. 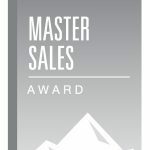 Master Sales Award: In 2006, his first full year of business, Eric received this award as acknowledgement of his work with buyers and sellers. It is awarded by Royal LePage to the top 11th-20th percentile of each residential market’s sales representatives’ earnings. Seniors Real Estate®: Eric has completed the training required by the Seniors Real Estate (SRES)® organization . This training provides REALTORS® with the information and skills to qualify them to meet the special needs and concerns of the mature market (50+).By earning the SRES® designation, Eric has demonstrated the necessary knowledge and expertise to counsel mature clients through major financial and lifestyle transitions involved in relocating, refinancing, or selling the family home. He has received special training, gets regular updates, and is prepared to offer the options and information needed in making life changing decisions. e-agent®: Steve has completed an in-depth on-line training program on various software programs and web-based tools. He works with Eric to maintain this website to assist sellers to sell as soon as possible for the most satisfactory terms, and to assist buyers to find the new home that is best suited to them. Both Eric and Steve are committed to utilize the technology that will help to achieve the goals of their clients as quickly as possible. This designation is presented by Royal LePage. Steve is qualified to market your property to thousands of potential buyers on the Internet, and he is also fully qualified to process all paperwork related to both the listing and sale of properties via the Internet, which has become an exceptional tool for both local and out-of-town buyers and sellers.